« TFE Workout at Old Ox! It’s an old-fashioned Southern Shrimp Boil! Bring friends and family for fresh-off-the-hook food, craft beer and the chance to support a great cause. 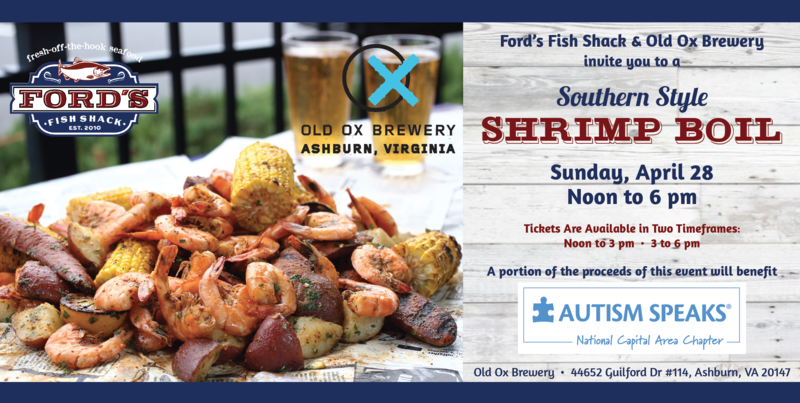 Ford’s Fish Shack & Old Ox Brewery are partnering to raise money for Autism Speaks. The event takes place outdoors at Old Ox. Just purchase the “1/2 lb. Shrimp Add On” ticket in addition to your Shrimp Boil ticket.